Brock CareerZone Blog: Upcoming Career Events! To mark the beginning of 2014-2015, Career Services has lots of opportunities for students to find employment and to get involved in volunteering around Niagara! Two major events that are coming up are the VolunteerFEST held at Brock University, and also the Shop For Jobs Fair held at the Pen Centre shopping mall. Whether you want to make some extra money while at school or if you just want to volunteer for a little while, these events could help you find what you are searching for! Participating in experiences such as volunteering or employment not only add to your resume but also help you become a well rounded person that knows how to manage their time efficiently. 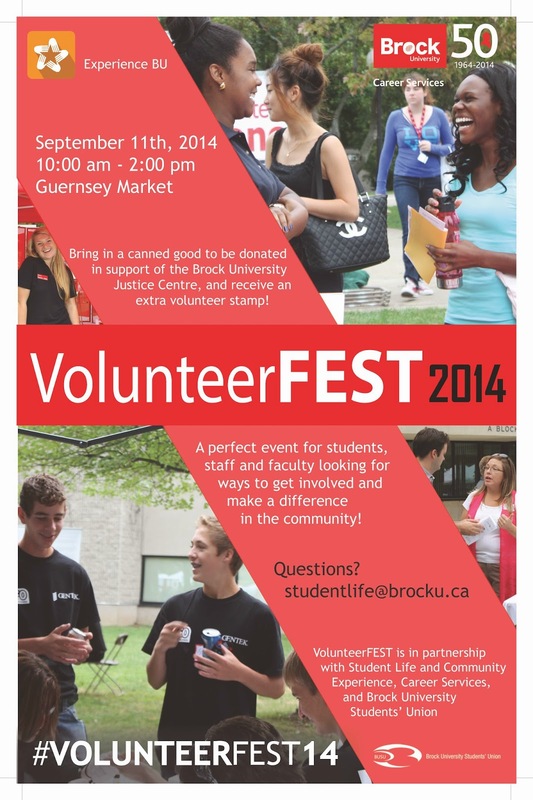 VolunteerFEST is an event for all students looking for opportunities to get involved in the community. This event is partnered with Student Life and Community Engagement at Brock, along with the Brock University Student Union. With a great number of companies and programs attending the event, you are bound to find something that interests you! VolunteerFEST will be held on Thursday September 11th from 10am-2pm in the Guernsey Marketplace. If you are looking to add some experience to your resume, come check it out! Shop for Jobs Fair is an event held at the Pen Centre shopping mall for students looking for employment close to Brock University. Although it is not on campus, the Pen Centre is a short drive or bus ride from Brock. 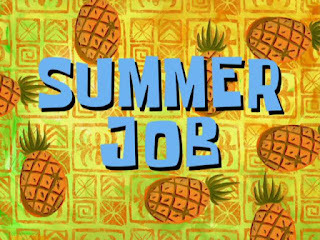 Stores all around the mall will set up tables on September 16th from 12pm-6pm for students to approach and drop their resumes off to. You should be prepared to have an interview right on the spot so make sure you dress interview-appropriate and have lots of resumes with you! Also, make sure you bring a reference list to hand to the employer after the interview.